I haven't always been a photographer, but I've always been an artist. Growing up in Bountiful, Utah during the 1980s, I was saturated in popular culture. If I wasn't watching "Star Wars" at the Centre Theater in downtown Salt Lake City, I was watching "Transformers" cartoons on TV, or listening to my mother's original Beatles albums on my parents' stereo. All of this exposure fed a creative impulse that, initially, led to drawing after drawing of Han Solo or Optimus Prime. My childhood identity was "that kid who draws all the time," but my creative impulse drove me into other media. I started writing short stories late in elementary school, and flirted with simple film projects in high school. By the time I finished an MS in American Studies from Utah State University in 2004, I defined myself as a writer and a teacher more than anything. But the power of the visual never went away, and the summer before I turned 30, a quick stroll in Chicago started me on a path to photography. Eventually I bought my first SLR in 2008, and the "kid who draws all the time" became "the guy who brings his camera all the time." In the time since, I've shot thousands of images of nearly as many subjects. My favorites always seem to involve people. 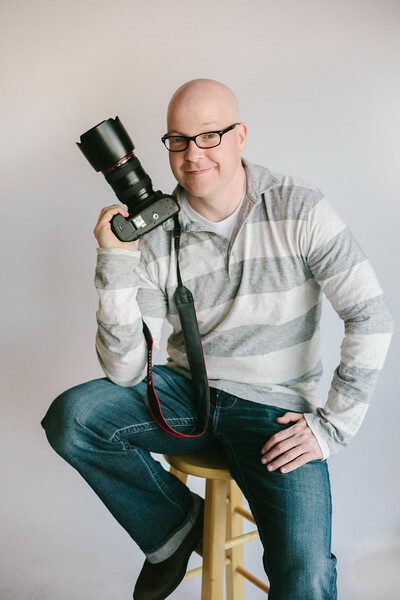 I've handled numerous portrait sessions, but I've also been on hand to shoot concerts, sporting events, and just about any occasion that involves people and culture. I've taken my camera along whenever I've traveled, and have documented the people and architecture and landscape of numerous locations across the United States. The resulting images have been a challenge and a joy to produce. I hope that comes through in the finished product.